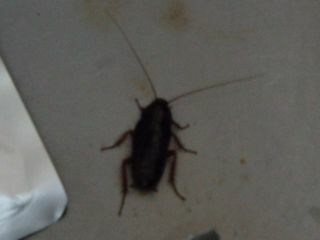 Cockroach experts say the cooler climate of the UK is somewhat compensated for by the warmer reception the insects receive here. Although still technically considered pests, due to their small numbers cockroaches in the UK are much less conspicuous and less likely to be the target of attacks than those abroad. Cockroaches have received some bad press in recent years, often being perceived as filthy, ugly, and, well, gross. In fact they are just shy and misunderstood, and in need of some have good PR. The UK Cockroach Appreciation Society hopes to acheive just that, having recently employed an ex-New Labour spin doctor as head of communications. As he explained in an exclusive SPCI interview, cockroaches are in fact the perfect houseguests. "Cockroaches aren't dirty - people are. Cockroaches clean up all the little bits of food and dirt that we filthy humans drop around the house. Inviting cockroaches into your house is like hiring a team of cleaners - except you don't have to pay them or worry about them making off with the family silver." Cockroaches also make great pets. "They're the ultimate clean, independent, low maintenance pet for the 21st century. They don't need to be walked, cost nothing to keep, and they even do the housework for you - what more could anyone ask for?"